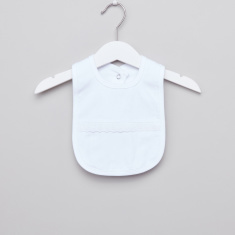 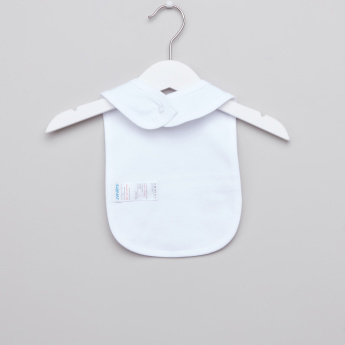 Keep your kid's clothes stain-free while you feed her using this easy-to-use bib. It has a press button closure that is fastened at the back of the neck for easy dressing. 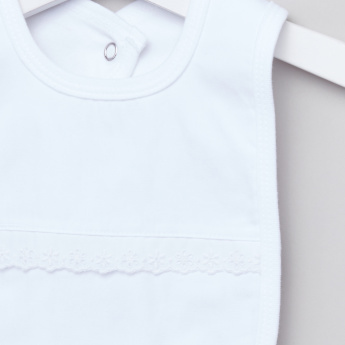 The lace detail and tone makes it a must-have.